From left, Delray Beach Vice Mayor Adam Frankel, Delray Beach Chamber Chairman Brian Cheslack, City Commissioner Gary Eliopoulos, Garett Hagen, Burt Rapoport, Robin Rapoport, City Commissioner Fred Fetzer, Mike Luciano and Mayor Woodie McDuffie. DELRAY BEACH — Noted Boca Raton restauranteur Burt Rapoport has come north for his latest venture. North to Delray Beach. 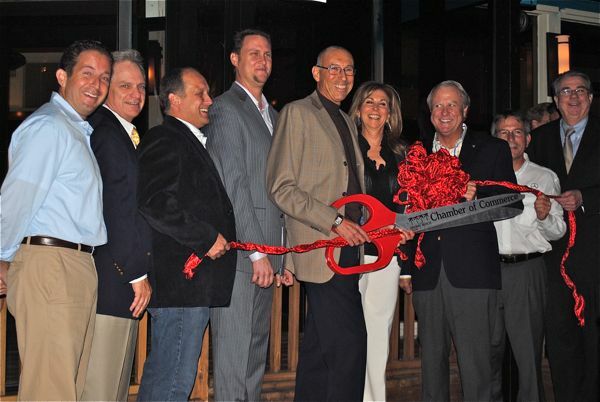 Rapoport, with the help of city officials and the Delray Beach Chamber of Commerce, cut the ribbon on Deck 84 on East Atlantic Avenue at the Intracoastal Waterway Wednesday evening. The site is the former home of Busch's Seafood. Rapoport, president of the Rapoport Restaurant Group, owns Bogart's and Max's Grille in Boca Raton and Henry's on Jog Road West of Delray Beach. He began working on Deck 84 in June. 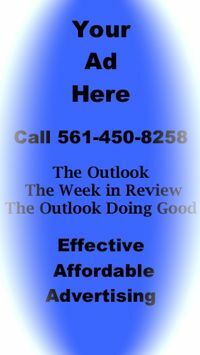 "You clearly have a class act," Commissioner Fred Fetzer said. "We thank you for bringing it to Delray Beach." Said another: "Best part of this is I no longer have to go to Boca to eat your food." Deck 84 offers casual dining, with a variety of small plates, finger foods, sandwiches and of course seafood, Rapoport said. "It's unique because it's on the water." 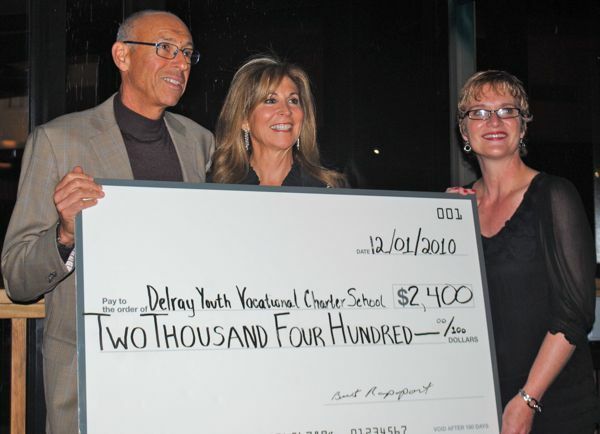 Burt and Robin Rapoport hand over a check for $2,400 to Marjorie Waldo, principal of the Delray Youth Vocational Charter School, during ceremonies Wednesday.